The 2018 season has been a year of growth for the Rok Cup USA program. Beginning with the transition of the famed Florida Winter Tour and Challenge of the Americas programs that saw each program move solely to the Vortex engine platform and Bridgestone tires, Rok Cup USA continued its expansion as more regional programs and clubs have jumped on the #LetsRok movement. The Rok Cup USA season is coming to an end with one final act before it turns the page over to 2019. 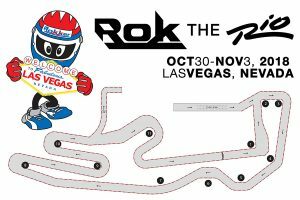 On October 31-November 3, Rok Cup USA is hosting the inaugural ‘ROK the RIO’ event at the Rio All-Suite Hotel & Casino in Las Vegas. Over 200 drivers have entered to compete in nine categories over the four days of competition. The event is the first in Las Vegas for the Rok Cup USA program, led by Garett Potter. It’s not secret that he was a big part of the MAXSpeed program, which hosted events at the Rio in 2015 and 2016. Potter is taking what he learned, along with the layout and track design, into this year’s ROK the RIO. The layout is a 12-turn, 0.72-mile course in the parking lot that sits between the Rio facility and the Las Vegas Strip. The Senior Rok category is the headline division, welcoming 35 drivers into Las Vegas from all around the world. Of course, you have to begin with the best in North America, the current EKN TaG Driver Rankings #1 Ryan Norberg. 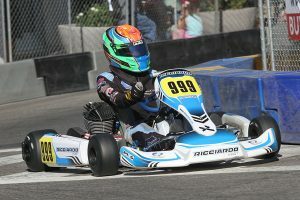 The three-time SKUSA champ started out the season with the Florida Winter Tour crown this year. One of Norberg’s top challengers at the FWT was his Birel ART teammate Ryan MacDermid. The Canadian finished third in the standings, and picked up some major wins in 2018. The field is very west coast heavy, including Challenge of the Americas vice-champion Jake Drew. The Ricciardo driver is set to compete alongside team owner Phil Giebler – the former Indy 500 Rookie of the Year. Michael Avansino (a driver for the new Team GFC on the Gary Carlton chassis), Jenson Altzman (OTK) and Colby Dubato (Ricciardo) were all up front during this past year’s COTA season. Jace Denmark-Gessel (Tony Kart) made his Senior debut at the Rok Cup International Final, racing in the Super Rok division. The Arizona driver placed inside the top-20 at South Garda Karting, and is primed for a solid run at the ROK the RIO. Emma Delattre (Tony Kart) was also in Lonato, competing in the Senior class. Delattre started the OMP Trophy Final (B-Main) from the pole position and held on to become the second female from the USA to win the race. Coming back to his roots, IndyCar driver Zachary Claman Demelo (Exprit) is set to compete in Vegas, as well. The largest category of the event is the 38-driver field of Junior Rok, which includes seven different nations. Multiple countries have been on the travel schedule in 2018 for Ugo Ugochukwu (Tony Kart). Ugo started the year as champion at the Challenge of the Americas while earning the vice-champion position at the Florida Winter Tour. Just days ago, Ugo finished third at the Rok Cup International Final. 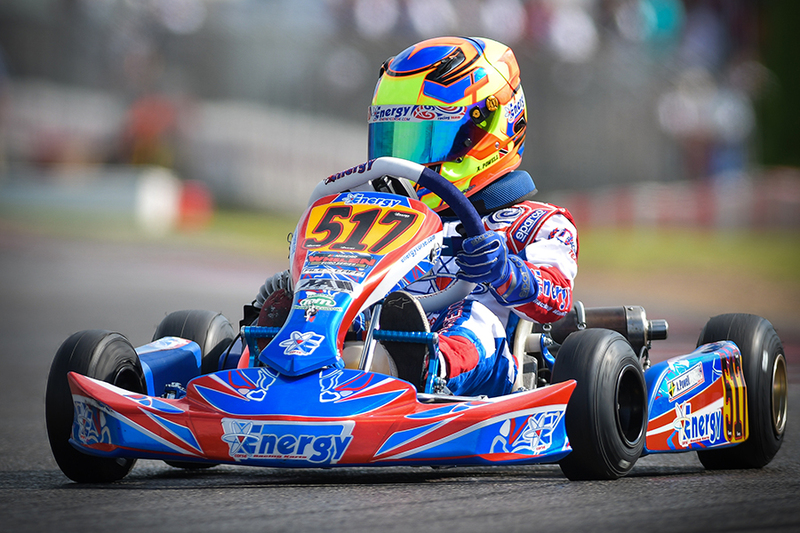 Italy is one of the foreign countries represented in the field, with Rok Cup Italy champion Paolo Ferrari (Parolin) making the trip across the pond to compete at the Rio. Of course, there are a number of strong drivers to contend in Vegas. Start with drivers that Ugochukwu beat at COTA – Austin and Ashton Torgerson (Tony Kart), and Ethan Ho (OTK). The east is coming strong with multi-time 2018 race winners Jeremy Fairbairn (Tony Kart) and Luca Mars, last year’s Rok Cup International Final Mini winner Connor Zilisch (Tony Kart), and CIK Academy Trophy representative Jak Crawford (Kosmic). Canada is strong with Dale Curran (Kosmic) – who showed well in Lonato – Thomas Nepveu (Birel ART), and MacKenzie Clark (Birel ART). Two second-generation drivers are in the field with Sebastian Montoya (Tony Kart) and Emmo Fittipaldi (OTK) confirmed on the grid. Not on the entry list, but announced to be racing at the event, is Florida driver Tyler Gonzalez (OTK), who is sure to be among the contenders on Saturday. A solid field of Masters are set to enjoy the thrill of Vegas and the ROK the RIO. Looking over the entry list, attention goes right to Paul Bonilla. 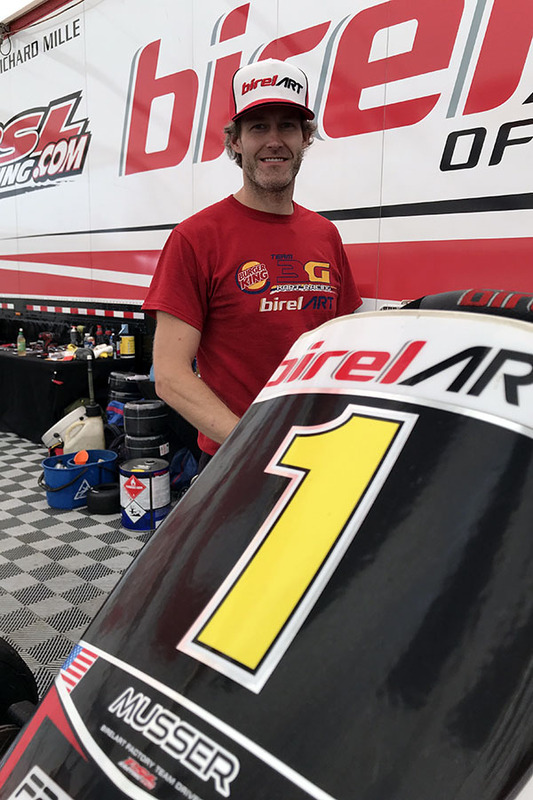 A veteran of the Masters ranks and a winner this year at the Challenge of the Americas, Bonilla (Birel ART) is sure to be setting the bar for the field once karts hit the track on Halloween. Also under the Full Throttle Karting tent is David Pergande (Tony Kart). Pergande was a contender for the COTA championship, and will be looking to end the year on a high note in Vegas. A former winner in Sin City is Renato Jader David (Tony Kart). The Brazilian won the SuperNats in 2016, and is sure to be quick in the Rok package. Another former Vegas winner is Billy Cleavelin (Kosmic). The two-time victor (2008-2009) is making his Rok debut this year with Rolison Performance Group. Representing Canada is Joe Crupi (Intrepid), coming off a sixth place finish in the Expert class at the Rok Cup International Final. Shifterkart racing is the upper echelon of our sport, and the Rok Shifter Senior division is stacked with talent. The 2018 season began with Mathias Ramirez earning the Florida Winter Tour title. The Florida driver is set to debut the GFC chassis in Vegas. Earning the vice-champion position at Challenge of the Americas was Kol Bailey. The Phoenix driver is joining Ramirez under the Team GFC tent to provide a 1-2 punch. When you talk about the best, similar to that of Gary Carlton, the name Daniel Formal comes to mind. The Costa Rican is a five-time US Rotax Grand Nationals champion, and is a former SuperNats winner. Formal is joining the LEM squad aboard a Formula K in hopes of earning a second Vegas victory. Momentum is on the side of Max Hewitt. 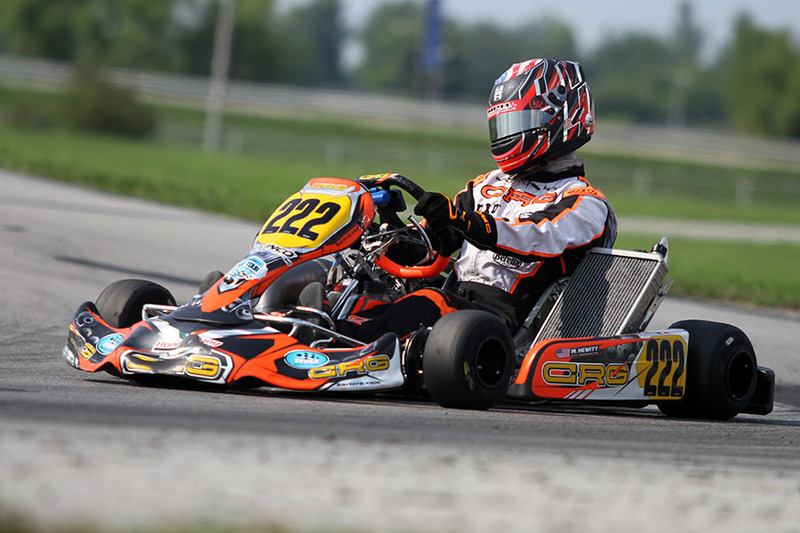 The CRG Nordam S2 driver swept the Texas ProKart Challenge program and won his first SKUSA Pro Tour title, as well. Making his Rok debut, Hewitt will be one to watch. He will have the ability to bounce ideas and setup changes off of veteran Ron White. The inaugural Rio winner back in 2002, White (CRG) brings his race team from California for a chance to gain victories in Vegas. Other strong west coast drivers include COTA winner Nicky Hays (Ricciardo), Streets of Lancaster winner Zach Pettinicchi (Formula K), and SKUSA Pro Tour winner Hunter Pickett (Sodikart). 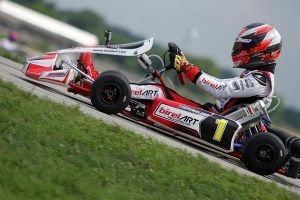 USPKS KA100 champion Zachary Hollingshead (FA Kart) is another driver from Florida to keep on eye on, along with top Canadian driver Isaac Marritt (Birel ART). Former F1 driver Antonio Pizzonia (Tony Kart) is making the trek from Brazil to compete in the Vegas. Over half the field in the Masters Shifter class can win in Vegas. For many, they already have in the past. The latest include Mike Jones (Sodikart) and Ryan Kinnear (Ricciardo). Both won last year at the SKUSA SuperNationals on the other side of the Las Vegas Strip. Each had solid seasons and come in among the favorites. One driver who launched his karting career with wins in Vegas from 2002-2004 was Jordon Musser. 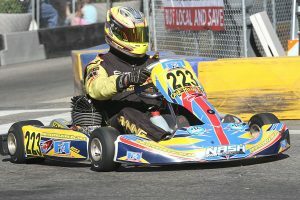 The Texan won three of his four US Rotax Grand Nationals titles south of the city at the X-Plex. Now a three-time SKUSA champ, Musser looks to add to his CV aboard his 3G Kart Racing / Birel ART. The Challenge of the Americas is well represented in Rok Shifter Masters with the top two from 2018 on the entry list in Vegas. Champion Kalvin Chen (CompKart) and runner-up Nick Firestone (DR Kart) are among those fighting for the victory this week. Add in Super Master drivers Patrick O’Neill (CRG), Rod Clinard (CRG), Andre Martins (Tony Kart) and Florida Winter Tour champion Farshad Bagheri (TB Kart), and it will certainly get interesting. 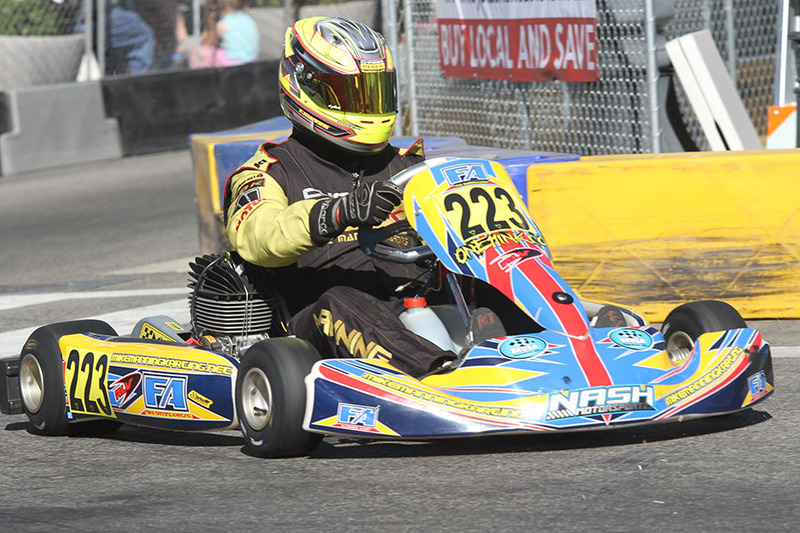 Texas is well represented with five drivers, including Kiwi Nathan Stewart (Sodikart). The second largest group heading into Las Vegas is the Mini division. Once again, you can look at over half the field to have the skill and odds in their favor to win on Saturday. The top driver heading into the Rio is Alex Powell (Energy). The Jamaican is coming off a runner-up result at the Rok Cup International Final, thus putting the odds in his favor and the bullseye directly on him. 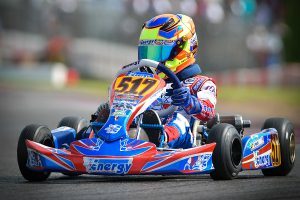 A number of drivers competed in Italy just three weeks ago, including USPKS champion Kai Sorensen (Tony Kart), Texas ProKart Challenge champion Jack Jeffers (Benik), Florida Winter Tour champion James Egozi (Tony Kart), Nikita Johnson (Energy), Noah Baker (Kart Republic), Paul Bocuse (Kart Republic) and Canadian Frankie Esposito (Birel ART). Challenge of the Americas will be well represented in the category with race winners Enzo Swan (Kart Republic) and Logan Toke (Top Kart), along with top drivers AJ Zarcone (Nitro Kart) and Parker DeLong (Benik). Top east coast drivers include Jeremy Fletcher (Tony Kart), Annie Rhule (Parolin) and Danny Dyszelski (Energy), who just won at the WKA Grand Nationals this past weekend. Also winning at GoPro Motorplex was Cameron Weinberg (Parolin), winning twice on the weekend and he is set to make his Mini debut in Las Vegas. 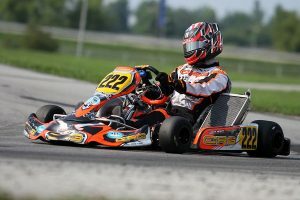 Jace Park (Parolin) was vice-champion at the SKUSA Pro Tour, and UK driver Brandon Carr (Benik) has had much success when coming over the pond to compete in the USA. A notable entry is second generation driver Sebastian Wheldon, the eldest son of IndyCar driver Dan Wheldon. This will be Sebastian’s first major karting event after competing throughout the season in Florida. The entry total for the Micro category is just over 20 drivers, with a mixture of experienced, international and regional drivers. At the top of the charts is Caleb Gafrarar (Parolin). 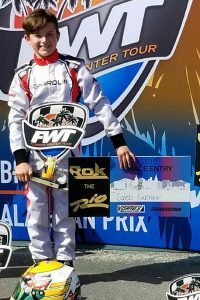 The North Carolina driver won the Florida Winter Tour and was a podium finisher throughout the season at USPKS and SKUSA Pro Tour. He and Parker DeLong (Benik) are the most experienced in the field. DeLong is doing the double, as the 10-year old has the ability to race both Mini and Micro. 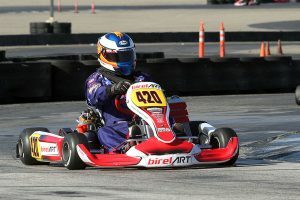 California ProKart Challenge champion Graham Trammell (Energy) had a breakout season in 2018, and is set to make his Rok debut. Ethan Ayars (Parolin) is another one of those drivers who made vast improvements to land on the podium multiple times this season. Five different countries are represented with Canada, Colombia, Mexico and Brazil joining the USA contingent. 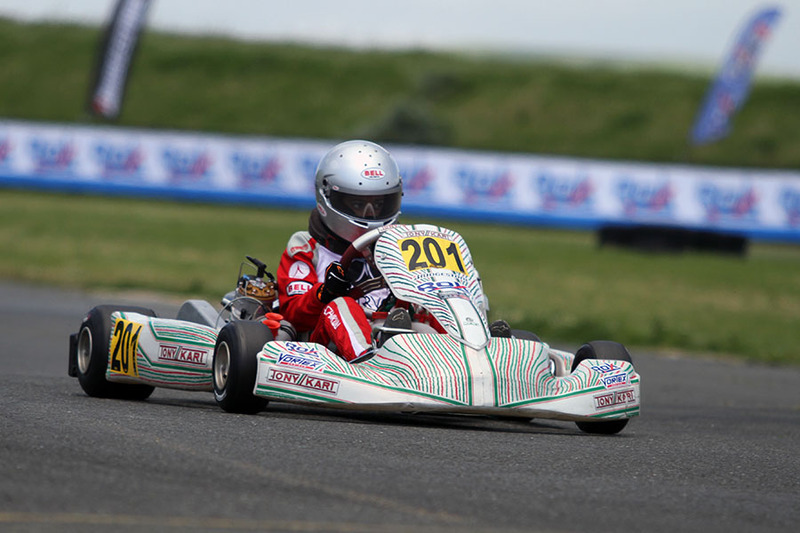 Joining his brother in Vegas, Oliver Wheldon (Tony Kart) will be competing in Micro. The 100cc categories at the ROK the RIO will include both the new Vortex engine and the IAME KA100 package. The mixture of the two engines has been going on all season on the west coast, with this week the first major event to offer the joint class. Looking at the 13 drivers in the Senior class, attention goes to Colby DuBato (Ricciardo), the inaugural IKF Grand Nationals champion in the KA100 division. Experience is on the side of Jenson Altzman (Exprit) and Kyle Hayner (Kosmic). Two female drivers – Abby McLaughlin (Top Kart) and Michel Manning (MMK) – are among those in contention this week along with Pacific Northwest driver Cooper Becklin (Birel ART). In Italy, they call Masters the ‘Expert’ class. There are a number of expert drivers in the 100cc Masters field in Vegas. Kevin Manning (FA Kart) won at the recent Streets of Lancaster Grand Prix, and kept pace with the Senior drivers at the same time. Tim Meyer (Tony Kart) was among the USA drivers at the Rok Cup International Final, moving over to the 100cc category this week. Jonathan Silva (CompKart) is another to switch to the 100cc class, along with shifter drivers Christopher Rock (Swiss Hutless), Kalvin Chen (CompKart) and Rob Kozakowski (OTK). 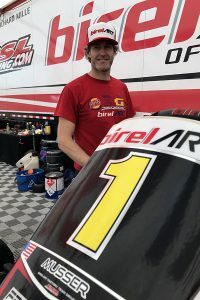 Long-time race official Tim Hannen (FA Kart) is trading in his clipboard for his helmet, racing in Vegas after putting in a strong training regiment to contend for the podium.